In 1701, Frederick I separated his lands off from the Holy Roman Empire and declared Prussia a Kingdom. The rest, as they say, is history. 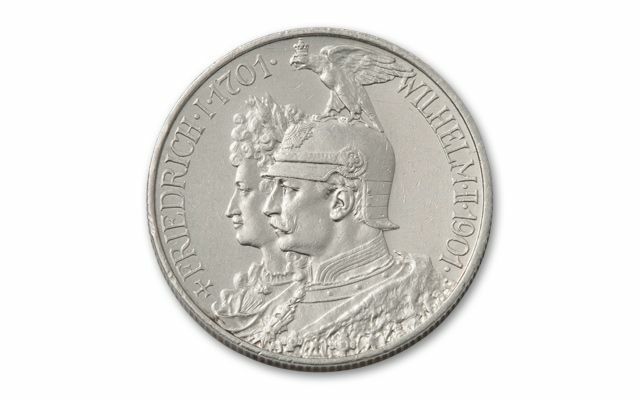 200 years later Prussian King Wilhelm was not only the King of Prussia, he was the emperor of all Germany. 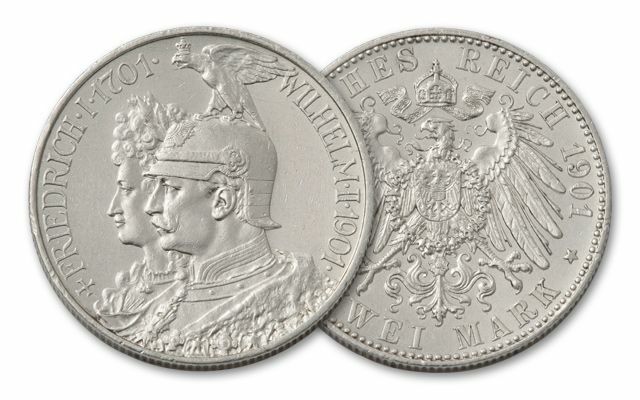 This 1901 Large Prussian Two Mark Silver commemorates the history, showing Frederick and Wilhelm side by side on the obverse, with the Imperial German Eagle on the reverse. We recently uncovered a small hoard in Germany and are pleased to bring this historic issue to you. 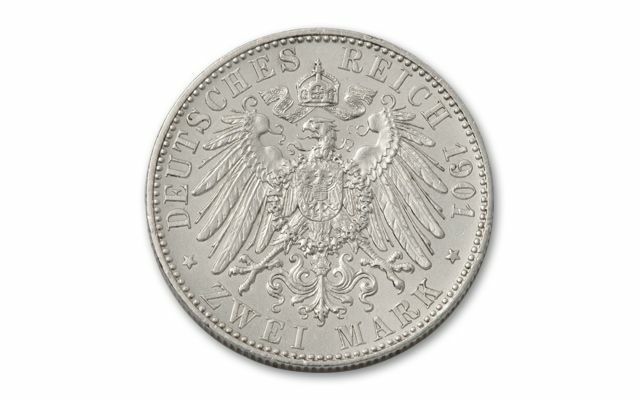 Each was struck at the Berlin Mint in 11 grams of 90% silver, and is in Very Good (VG) condition. Add it to your collection today!